This book is the most comprehensive book you will find on AutoCAD 2018 – 2D Drafting. Covering all of the 2D concepts, it uses both metric and imperial units to illustrate the myriad drawing and editing tools for this popular application. Use the companion disc to set up drawing exercises and projects and see all of the book’s figures in color. AutoCAD 2018 Beginning and Intermediate includes over 100 exercises or “mini-workshops,” that complete small projects from concept through actual plotting. Solving all of the workshops will simulate the creation of three projects (architectural and mechanical) from beginning to end, without overlooking any of the basic commands and functions in AutoCAD 2018. Features: * Covers only the basics and uses both metric and imperial units to illustrate the myriad tools for this popular application * CD-Rom can be used to set up in-text drawing exercises and projects and to see the book’s figures in color * Helps you to prepare for the AutoCAD Certified Professional exam eBook Customers: Companion files are available for downloading with order number/proof of purchase by writing to the publisher at info@merclearning.com. 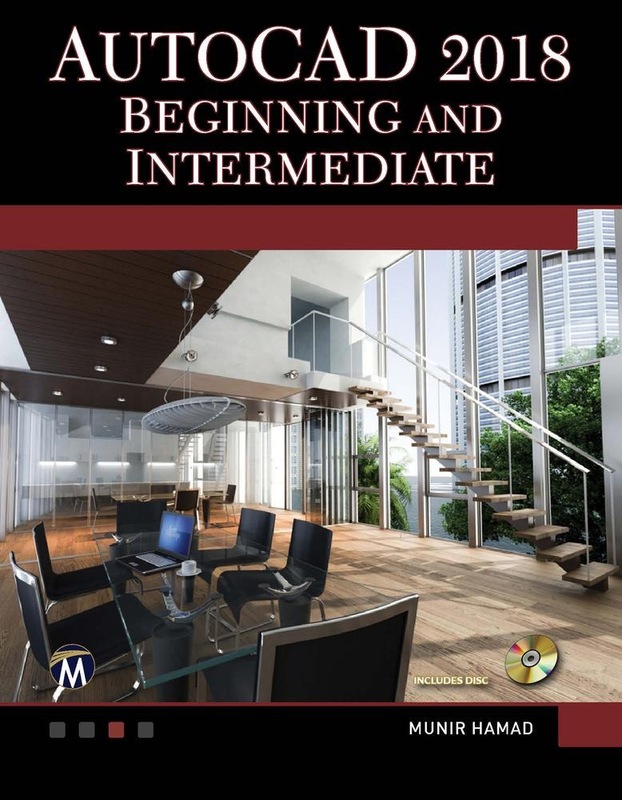 Acquista AutoCAD 2018 Beginning and Intermediate in Epub: dopo aver letto l’ebook AutoCAD 2018 Beginning and Intermediate di Munir Hamad ti invitiamo a lasciarci una Recensione qui sotto: sarà utile agli utenti che non abbiano ancora letto questo libro e che vogliano avere delle opinioni altrui. L’opinione su di un libro è molto soggettiva e per questo leggere eventuali recensioni negative non ci dovrà frenare dall’acquisto, anzi dovrà spingerci ad acquistare il libro in fretta per poter dire la nostra ed eventualmente smentire quanto commentato da altri, contribuendo ad arricchire più possibile i commenti e dare sempre più spunti di confronto al pubblico online.